They’re totally checking you out. Nearly 40 percent of hiring managers use social media to research job candidates, according to a survey from CareerBuilder. About the same percentage report using Google searches to learn about potential employees. What you want them to find is a consistent message about you—your qualifications, professionalism and personality. As you continue making a professional brand for yourself, all of your online communication platforms will have one thing in common. They will include a version of your professional bio. Your social media accounts and professional website all should include your bio. It’s a method of creating a controlled and consistent message about your brand. 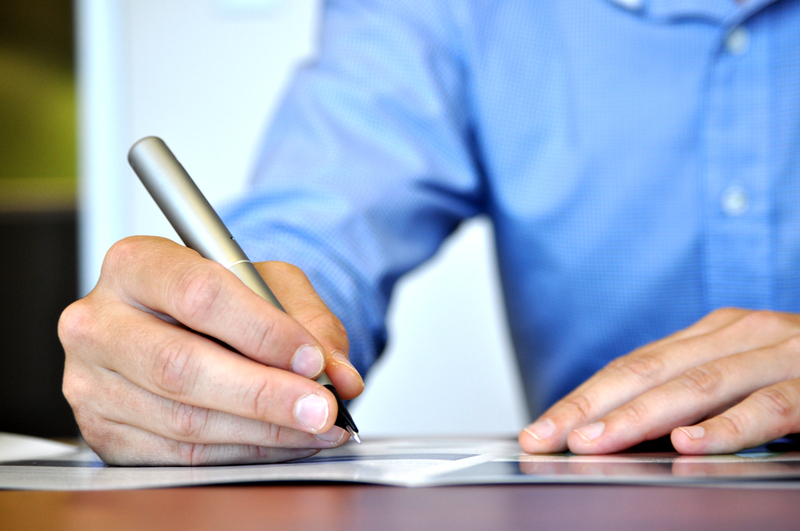 Writing your professional bio can be an intimidating task. It’s difficult to write about yourself. You’re uncertain what to include and how to write it in a way that is professional while simultaneously creative. My advice is to first create a long form professional bio—the type of thing you would use on a resume website. From there you can edit and alter it into smaller bits as needed for other uses like LinkedIn, Twitter or running with guest blog posts. Put your name in the first sentence of your bio so the reader knows immediately that he or she is reading about the correct person. It’s your virtual introduction. Provide a general idea of what you do, establishing your industry without necessarily being organization specific. Kenna Griffin is an assistant professor of mass communications and a collegiate media adviser. Her primary areas of teaching are journalism, online media, public relations, media law, and media ethics. Describe your current job, business or professional experience. Kenna joined the Department of Mass Communications at Oklahoma City University in 2003. She advises Oklahoma City University’s student newspaper, The Campus, as well as the publication’s online version, MediaOCU.com. She also oversees operations of the student yearbook, The Constellation. Her professional experience includes working as a staff writer at The Oklahoman and managing editor for the Guthrie News Leader. Explain why you are worth considering as a resource or employee. This is the place to include publications, presentations, professional memberships, or awards. Kenna is a member of the Society of Professional Journalists, College Media Advisers, Oklahoma Press Association, and Oklahoma Collegiate Media Association, Women in Communications, and the Public Relations Society of America. She regularly speaks on journalism best practices and media advising at annual national and local collegiate journalism conferences. She also serves as a resource on these topics via her media blog, www.profkrg.com. Kenna has a master’s degree in education from the University of Central Oklahoma and is a journalism Ph.D. candidate at the University of Oklahoma. Her academic research explores the conflict between journalists’ professional identities and their emotional responses to covering traumatic events. She is a two time Dart Foundation educator fellow with the Dart Center for Journalism and Trauma. 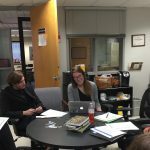 She also presented her research on journalists’ emotions regarding witnessing executions at three national academic conferences. Include all of your relevant contact information—email address, telephone number, professional social media accounts, and website and/or blog URLS. You can personalize your bio even more by including elements such as a photo of yourself, a video introduction or links to your work. You also can provide details about hobbies or outside interests that make you marketable or establish your professional brand. Once you draft this foundational bio of about five to eight paragraphs, it will be much easier to alter it for all of your various online platforms. You also should update the bio regularly so it stays current. Remember that the important thing is to present a consistent professional message about yourself for potential employers and partners to see. The professional bio example I provided throughout this post is pretty formal. Are there times when less formal bios work better? What types of details might be included in more creative bios? This column is so timely for me, as I am in the process of reworking my bio. You made some great points. It is so much better to have one very in-depth document to pull shorter bio’s from. The reminder about including how you can be reached is a good one. I am frequently amazed by that information not being available about individuals who have otherwise been quite thorough and careful. gina valley I realized when I wrote this that I need to update mine on our department’s website. No time like the present! Thanks for reading and commenting, Gina. I appreciate it. This is a timely post for me as well, Kenna. My primary area of concentration is broadcast marketing, but as I’ve often joked, it’s easy for me to “sell” a story or a show, but it feels next to impossible when it comes to marketing ME. patricksplace My students experienced this firsthand today. I actually wrote this post as prep for an in-class lab where they drafted their own professional bios. It was really difficult for some of them. It’s not easy to write about yourself. Too many times people just feel like they’re bragging. Some students also realized that they didn’t have much to write. This is eye opening because they still have time to fix that before it’s time for them to enter the job market. Thanks for visiting and commenting, Patrick. I appreciate your support. patricksplace I think your story is your strongest “selling” weapon. For most students, they don’t have enough professional experience. And for entry level starters, like me, we don’t have “weapon” to open a bigger door for us. All the words that we put together are just saying. It’s hard to know the “quality”. But you are different. If you have a good story or a good show, you can catch people’s eyes pretty fast. Informative post. I think why you’re worth considering is especially important and often overlooked. It may be interesting to go through some of the things that shouldn’t be included in bio! Given what you do, I’m sure you’ve seen some doozies. I’ve notice that, especially with younger people, it’s amazing how little thought they give to the appropriateness of what the write online! CompanyFounder It’s a great idea to write this post from the opposite angle—what you shouldn’t do. One of the issues students discovered when writing these for today’s class lab was that they weren’t sure what professional experiences to include. A lot of students have jobs just to pay the bills. We discussed the benefits of including a job like waiter or lifeguard. I’m really excited to read their final products. I love this– lots of great information here!! I am in the process of constructing my bio, so this is very useful! MELISASource I’m glad you find it useful. I need to rewrite mine again. It’s easy to just put it out there and not update it. Good luck! The most difficult part includes information not readily available because of non-existence. There are no formal jobs for the field I am currently studying, which puts me at a disadvantage. What I’m doing now is working hard on a portfolio so the prospective employer can see what I’m capable of, first hand, instead of taking the word of someone else word of whether or not I should be employed. MJBrewer It seems that there must be professional organizations and some type of jobs. Perhaps you’re thinking too narrowly? Great article, thank you for posting. It’s my belief that Bios need to contain more personal information. People crave relationships, and a bio can be the start to that. Knowing that someone has kids, is busy with activities, enjoys certain hobbies etc. Helps us to relate to them. For many such as myself, my personal story is as important as my professional one. They go hand in hand. suelessard01 I think how much personal detail you include depends on what you plan to do with the bio. Certainly you don’t want to over share with potential employers or professional contacts, but I agree that you should make yourself human. Thank you so much for posting such an informative and easy to follow guide on writing a professional bio. I have been searching for a resource like this for a long time and was very happy to come across yours. I now feel like I have a much more professional sounding and looking bio that will look great as a part of my various social media accounts and my online profile. Thank you for your article. I am a recent graduate and hold several positions at the moment, some internships and part time jobs. Should I mention the internships in my bio or is it better to leave them out? Even though they would make me more interesting? Thank you for this learning tool. Keep your good works up. Thank you very much for this wonderful site! Please continue your great contribution to the world! Thank you! I appreciate you reading and commenting. I know it’s been several years since you wrote this, but what do think about students creating SlideShare visual biographies as a supplement to their other bios/resumes/etc.? Well, now-a-days most of the people includes their LinkedIn profiles on their resume and recruiter find it as an easiest way to find more info about the candidates. Before including it make sure that your profile is written in an impressive way. If not make it in such a way using above tips. <a href=”http://www.osamresume.com/”>best resume writing service</a> creates awesome resumes. Great article, thank you for sharing! I also have read another interesting article about this topic <a href=”http://www.biographywritingservices.com/biography-for-website”>here</a> and I hope all these pieces of advice will help me to create my professional bio.